What are Conspiracy Theories and How Do They Work? Speaking plainly, Conspiracy theories are non-scientific theories that attempt to explain the complex power relations of groups, typically by assigning malicious intent and coordinated action to groups and individuals. Speaking in more formal terms, Conspiracy theories are sets of one more speculative hypotheses, often backed by fallacious reasoning, that suppose a conspiracy. As you can see, that overly-simple example above shows some of the problems with conspiracy thinking at a glance. That is, Conspiracy theories are informal arguments that attempt to explain complex power relations and/or odd events by connecting data-points and beliefs that don’t necessarily connect, attempt to draw certain conclusions from arguments that aren’t in logically certain (they try to draw certainty from inductive arguments; one form of fallacious reasoning), and do all this in an effort to validate a speculative hypothesis (instead of seeking truth, they seek to validate their guesswork; this leaves people looking for conspiracy to explain unconnected or simply unexplained events). Meanwhile, the above reasoning is further complicated by bias, projection, and the insertion of conspiracy, where unknowns are often filled in with “the ill intentions of a shadowy villain” (whose intentions and actions are both assumed) rather than with the appropriate uncertainty. When the rules of logic and reason are broken, but an argument still feels like it makes sense, it is almost always because our bias is causing us to practice some degree of fallacious reasoning (which is a slippery slope when we are at the same time assuming a conspiracy). TIP: Some guesses can end up being true, but a few facts backing them could up end up being wrong. Conversely, sometimes a conspiracy theory has the facts right, but the conclusion isn’t true (perhaps because the supporting argument wasn’t logically strong enough, and thus we drew the wrong conclusion from the data). When we don’t adhere to the rule-sets of formal logic, and we refuse to be skeptical about our own argument, we are not doing the facts we have collected or our hypothesis justice. A good way to understand why a conspiracy theories gets a bad reputation (despite some of their parts having merit), is to compare them to scientific theories (theories that follow the formal rule-sets of logic and reason). Conspiracy theories, unlike scientific theories, are rooted in guesswork and fallacy. This doesn’t mean conclusions aren’t true, it means that generally they lack formal proofs. And, given that they drawn certain conclusions from uncertain arguments, they therefore break the laws of logic and reason in drawing their inferences. The first “scientific” theory is a shorthanded way of expressing a very likely conclusion based on formal logic, proper reasoning, and evidence. Until a better theory comes along, we can treat that tested hypothesis as fact. Meanwhile, the second “conspiracy” theory is expressing a speculative hypothesis (an unproven, but reasonable, guess) that uses a mix of speculation, reasoning by analogy, fallacious reasoning (assuming a cause and effect relationship because two systems share properties for example), and some actual facts to draw a certain conclusion where no certain inference should be made. Both the scientist and conspiracy theorist are practicing reasoning forms and looking for facts, but the trained scientist (who is by their nature also a logistician and mathematician to some degree) avoided fallacious reasoning by adhering to a formal method and practicing skepticism (not of the government, but of their own theory… it is the cornerstone of science). Both these ventures have required smarts, pattern recognition, and theorizing, but the conspiracy theorist has fallen short by replacing formal logic with informal reasoning, emotion, and bias (reasoning a conspiracy, rather than proving one; or in some cases, correctly inferring a conspiracy, but committing logical fallacies when dealing with the facts that back it up). Again, science never seeks to prove themselves right, they always seek to prove themselves wrong. They doubt themselves, and it is that doubt that advances science. This essay is meant to provide thoughts and insights into conspiracy theories and the truths behind them. The goal isn’t to be dismissive of conspiracy thinking, or to say that every conspiracy theory is by its nature totally off-base, it’s to pull back the veil and show you that there is a deeper and more valid line of thought that needs the brainpower of those who have a mind for it. At the end of the day the difference between conspiracy thinking and the highest levels of truth-seeking is little more than a set of standards pertaining to what we can know, how we can know it, and how we can seek greater degrees of understanding (see a basic theory of knowledge). TIP: You can see a list of fact-checked conspiracy theories here. Why conspiracy theories are rational to believe. The effects of special interests can be downright ugly, but the intentions behind them are often mundane. This video explains conspiracy theories in a rational way. We try to mirror that line of thinking. When we overreact we risk playing into another’s hand. 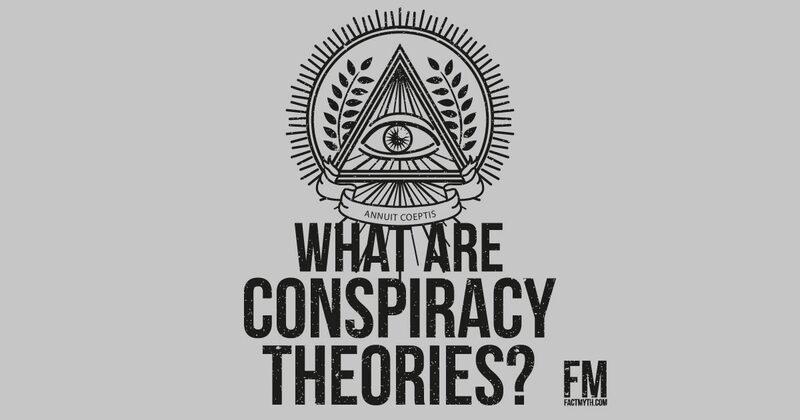 FACT: Conspiracy theory is typically a misnomer, the correct term for more “conspiracy theories” is speculative hypothesis (an assumption). Learn more about what a theory is. Humans are very smart and social creatures on average. Humans are also emotional, naturally biased, and self-interested creatures. In other words, we are built to make and see connections and associations, and we are built to look for patterns (see our neurology here). Humans, especially those of us prone to look for patterns, like to “fill in the blanks” by replacing unknowns with our own hypotheses or theories (based on pattern recognition and bias), thus creating logical-to-us connections based on feelings and rationalizations instead of facts. The problem here isn’t this natural quality, the problem is not keeping it in check and subjecting it to skepticism. For a metaphorical example, if we often see X=2 and Y=3, when we happen upon 1+X+Y=6 and we might assume X=2 and Y=3 in this case too. However, this reasonable assumption is not necessarily true every time we encounter the variables X and Y. If we are very emotional about X=2, and our in-group just lost an election to Y=3, and we know that if X=3 and Y=2 we will feel far less safe, we might just find our emotions and biases affecting our logic and reason. This could result in incorrect inferences if we aren’t skeptical of our results. Being wrong is no big deal, nor is not having all the facts, however, when we get emotionally invested, and we start attributing our emotion (positive or negative) to a person or group, we start down a slippery slope of letting our emotion get in the way of our logic and reason. The reality is we have many (many, many) implicit and explicit cognitive quirks that drive our thinking process (this is especially true for those who are emotionally invested in a subject or for those who have generally active minds). When we convince ourselves that our speculation is fact, and spread the “conspiracy theories” born from our “conspiracy thinking,” that can then lead to all sorts of complex problems. The problem here is that filling in the blanks with assumptions rather than facts, especially on emotional topics that involve uncertainty and fear, it can leave us with misdirected anger. Sometimes “the blanks” that we fill in aren’t actually explained by the malicious and/or conspiratorial action of individuals or groups, but are instead are explained by something much more mundane. Sometimes what we would attribute conspiring too has a rational explanation. For example, sometimes it is the result of uncoordinated self-interest, or mundane self-interest, rather than the malicious intent of specific individuals and groups. Meanwhile, sometimes we are fairly certain that the intentions behind an event were bad, but we mis-step in deciding we know exactly who the actors were! If we have all the facts right, but mistake the actors, our theory could be dangerously wrong. If we have the actors right, but mistake their intent, it could result in a dangerously incorrect theory. Life doesn’t always present us with simple truths or clearly defined casts of heroes and villains. Rather, life is full of complex grey areas and mundanely amoral anti-heroes and anti-villains. When we create a conspiracy theory, the ends of the theory are usually a black and white conclusion leaving us with an individual or group to direct our anger at. Yet, to say this again, life is often not that simple. Who are we to judge others harshly based on probability and instinct rather than evidence? We don’t do this in a court of law (ideally), nor should we do this via a conspiracy theory. The scientific method tells us to test our hypotheses, to try to prove it wrong. It does not tell us to become dogmatic about our hypothesis and covet it or grow emotionally attached (although, this hardly stops even the most well trained theorist from doing so). This is to say, it isn’t that people don’t conspire directly and indirectly, it is that without having all the facts, we can’t form proper theories. And, when we add in bias, emotion, suspicion, and assumption, we actually run the risk of implicating innocents. If we implicate the innocent it is, ironically, it is we are who are being unjust. Yet, if we apply the proper standards to our journey, we can circumvent many of these problems. If our conspiracy theory asserts that a group of five people are evil, but it turns out that only four were, we have (by way of not applying proper logic, reason, and empirical data) implicated an innocent. This is exactly how people’s reputations and physical beings get hurt (consider, when we damn the wrong actor, the real culprit goes free… it is hard to imagine this is the intent of any honest conspiracy theorist). Simply put, when we decide our own facts, based on our own biases, we run the risk of assigning meaning that isn’t there. When we assign meaning to the shared intentions of many, we can mistake a natural advent of group dynamics and collective human liberty in-action for the plotting of a coordinated “shadow” group. Likewise, when we attribute group action to an individaul, we could be missing the bigger picture. There are countless pitfalls to be aware of here, but that doesn’t mean conspiracy doesn’t happen or that trying to put together a theory isn’t without merit. It is just that it is complex and we should tread carefully and apply critical thinking. If we go into conspiracy thinking in an emotional state, and we consider opinions, theories, and half-truths as facts, we are bound to make errors in our judgements. TIP: If you want to learn more about constructing solid theories, see our page on logic and reason or our page on what we can know. There are a 1,001 admirable things to apply an active mind or a strong set of morals to; and it is far more rewarding to use the right technology than it is to speculate without rule-sets. Conspiracy theories are non-scientific “theories” (technically hypotheses) that revolve around a conspiracy (a secret plot and hidden intention). Conspiracy theories attempt to explain events, and/or the complex relations of groups, by assigning purposeful (and often malicious) intent to groups and individuals in the absence of facts (facts being things we know for sure, not things we are speculating based on guesses or other facts). For example: The whole 9/11 boils down to two questions: 1. Did 19 terrorists cause all of the destruction witnessed on 9/11/2001? and, 2. did a group of people in the U.S. government conspire to create that destruction for political gain? Musing on the idea that it was a conspiracy, and trying to fill in the blanks based on speculation, is “conspiracy thinking”. The problem is “we don’t know for sure,” thus, to some degree one must fill in their own blanks. The less blanks one has, the more viable the theory (thus, a conspiracy theory isn’t by its nature true or not true, it is just that the term typically refers to that which we don’t know for sure). When we speculate without a set of testable facts, the slippery slope arises. Conspiracy thinking is the mindset of looking for patterns in and between conspiracy theories, or simply looking for conspiracies. For a “fun” example of a conspiracy theory, let’s consider a fabricated theory surrounding the death of Elvis (the event). In a made up example of a conspiracy theory, we can infer that “X special interest group” (the conspirator; ex. “the Mob”), had Elvis murdered in Y way (speculation; ex. by planting drugs in his fried peanut butter and banana sandwich), for Z reason (the conspiracy; ex. because he knew too much about Nixon’s master plan). Elvis loved banana and PB&J (fact). Elvis knew about Nixon’s master plan (we’ll pretend this is a fact). “The mob” didn’t want Elvis to tell on Nixon (speculation). Elvis died of a drug overdose (fact). Therefore Nixon likely directed the mob to plant drugs in Elvis’ sandwich (speculation based on assumptions and facts; an unsound inference). The logic above is constructed well, but many of the judgements and inferences are unsound. We had some facts, but mostly we just speculated. We don’t know the specifics of the events leading to Elvis’s death, and instead have inserted “guesses” based on known facts and pattern recognition, we have formulated “a conspiracy theory”. Since we know Elvis loved his PBJ, used drugs, could have known “the Mob” from his travels and fame, and certainly knew Nixon, it almost seems plausible… plausible enough to get people, and even ourselves, to believe it over time. We can do the same speculating on Marilyn Monroe, Kennedy, or even 2Pac, etc. Then we can try to tie these theories together by noting that “it was X special interest involved in each instance” (according to our theories at least). Then, moving forward, we might start to assume that “X special interest” is always to blame. This then fills us with emotion, and leads to even more conspiracy thinking. This is the sort of slippery slope we noted above. Who killed Kennedy? There are so many candidates for the “who killed Kennedy” question that it is near impossible to answer. I’ve heard many reasonable theories, and sifting through youtube for this is entertaining, but the problem is “we don’t know for sure, we don’t have all the facts.” Thus, if I decide it was the solid south, I now have a bias against them for this and will treat them “as if”. This is unfair to them, and a disservice to me. This is one of many problems that arises from conspiracy thinking. Why Do Conspiracy Theories Form? People look for theories and facts to justify their beliefs whether the end result is a conspiracy theory, scientific theory, or just a hypothesis or opinion. After-all, a justified belief is stronger than an opinion, and a well substantiated theory is even better than that. Thus, the 9/11 skeptic looks to complex minutia like the melting point of steel to back up their story, the birther examines the ink type on Obama’s long-form birth certificate to back up their’s, and the New World Order conspiracy theorist looks to any trade deal or dealings of an international bank to back up their’s. In all cases, “some facts” pointing to a theory doesn’t make every conclusion right, it only hints at aspects of a larger truth. When people make connections in data that can not be proven, when they fill in the blanks with conspiracy to back a world-view, right or wrong, this is how conspiracy theories form. When we do know some facts, but don’t have enough to formulate a full theory, we can present this information honestly. It is only when we fill in the blanks with assumptions do we start down the slippery slope. Was 9/11 an “inside job”? Let us not try to answer that, as we don’t have enough facts to form an accurate theory. Knowing one doesn’t know is a thing of true philosophers, it is a truth of the highest order to admit what we don’t know, it is true wisdom. Believing one knows, without having all the facts, especially when the justification is in another viewpoint (like believing the government corrupt), is not truth in its highest form. When we then assigning malicious intent based off more than one belief at once without all the facts to connect the beliefs with the theory, this only takes us further away from being true philosophers (true lovers of wisdom). Was Sandy Hook staged? Again, we have a problem. The idea that Sandy Hook was staged to push through gun legislation is conjecture and speculation. We may suspect motives, but we don’t have all facts and answers. Here we bring up another problem, that is that we do have many official facts, but some conspiracy theorists are skeptical of them due to their source (the government and law enforcement). The skepticism is very good, but the bias against government and the assumption that an event like this had to be staged (as the effect was an attempt to regulate firearms) is not sound logic. Here we bring up another difficult aspect, and that is: sometimes even when we do have evidence, there are people who will reject that evidence based on who presented the evidence. The thing I would say here is that suspicion of manufactured evidence is not evidence of a conspiracy. One must consider that all sides generally have a motive, but a motive is not the same as an action. Just because someone had the motive to act, does not mean they were an actor. Only one thing happened, there is only one truth. Sandy Hook may have justified a discussion over firearm laws, but that doesn’t mean it was staged to spur on that discussion. The assumption that it must have been, based on sparse facts and speculation, is just the type of complex conspiracy theory we are trying to dissect on this page (it doesn’t have one aspect, it has many). TIP: On the above, you should note that not only the conspiracy theory itself, but the accounts of events and evidence that a conspiracy theorist rejects are both part of conspiracy thinking. If I have a theory that Micheal Jackson really left this planet to go back to mars in a spaceship, rejecting the evidence of his death, then not only am I filling in blanks with speculation, I’m rejecting facts that should fill in those blanks. Being skeptical is good, rejecting evidence based on bias and emotion is not a condition of sound logic and reasoning. TIP: People’s deepest held world-views, when perceived to be threatened by skeptics of their beliefs, make contrary facts an enemy to be felled. Show a flat earth theorist facts that point to the world being “not flat,” and you’ll get pushback. Show a 9/11 truth-er some facts that point to there being no malicious intent, and it could make the truth-er believe in their theory even more! According to an article by Michael Shermer in Scientific American, this power of belief over evidence is the result of two factors: cognitive dissonance (the state of having inconsistent thoughts, beliefs, or attitudes, especially as relating to behavioral decisions and attitude change) and the backfire effect (a type of confirmation bias where, given evidence against a belief, people reject the evidence and believe even more). In words, let us not try to debunk a theory about Kennedy or 9/11 outright, instead let us just discuss what we do know alongside a conversation of what biases and mechanics are at play in human cognition regarding the formation of conspiratorial theories. Maybe in this we can avoid pushback (which is like, the whole point of the article, to try to communicate with those I assume will pushback without getting pushback). Pushback, another key concept. For more reading, see: How to Convince Someone When Facts Fail. The moral here: Dismissing someone’s theory isn’t helpful, but helping them to see where they have dismissed evidence or replaced fact with speculation, and then having an honest discussion from there, can be. The obvious problem here is that, while sometimes conspiracy theories are spot on, they sometimes aren’t… and when we have even just some facts wrong we can see a pretty nasty snowball effect that can confuse our loved ones and hurt real people. This only gets worse when we add in emotion and political views and connect different conspiracy theories together to create a world view or narrative. Hitler didn’t start out jaded, instead he became increasingly indoctrinated by his own vision of a German National Germany over time, based partly on conspiracy theories. In other words, conspiracy thinking compounds over time imbuing a person with paranoia, and because of the way our brain works, this can actually mold our whole neurology over time (see neuroplasticity). For another example, if we ignore the history of banking, liberalism, and the west we may be tempted to believe that “the Illuminati are conspiring to create a New World Order, that this is bad (even “satanic”), that their intentions are purely wicked, and that every bad event in history is directly connected and instigated by this single group of expertly coordinated shadowy villains who have allegiance only to a purely evil cause”. Is it just me, or does that not seem overly simple for explaining the history of the world’s problems and the shared intention of every person in power? Here I am not saying it is this way and I know it for sure (that would be speculation), I am saying it could be this way and I am saying we don’t know for sure. I am saying we should apply our standards, test our hypothesis, be skeptical, question if it is a partisan issue, ask our selves if we are attributing features of different groups to one group, etc. The Illuminati Agenda is The LIBERAL Agenda. This talking head might be onto something, but I suspect he has some of his facts wrong and is filling in some planks with partisan emotion. Google “Illuminati and conservatism” and compare that to “Illuminati and liberalism,” are people using this concept to slander liberals (thus, if aspects are true, is there being falsehood interjected for partisan reasons?). Consider also, the west was built on liberal principles and we have a symbol of the enlightenment on the dollar bill. Consider, Jefferson was accused of being a Freemason. Consider, the Bill of Rights is a liberal document. Consider, the Founders were essentially a bunch of liberals. The Wikipedia page on the Illuminati essentially backs up my “non-conspiratorial guess-based theory” which I formulated by “actually reading history” instead of turning the “dark” up to 11 like many seem to do on the topic. See also New World Order (conspiracy theory) for more actual facts, including the propaganda fake text The Protocols of the Elders of Zion which was used to fuel Hitler’s anti-Semitic sentiment in WWII. This is to say, when we make assumptions about what we don’t understand, it isn’t necessarily without merit, but when we decide we know for sure and assign wicked intent to a specific group, we “start down a slippery slope.” The is a subtle point, but one that should be considered. Again, in terms of the “Illuminati,” what if we have correctly guessed the group, but the goal is peace and not war? What if the goal is ensuring liberal trading republics Monroe Doctrine style instead of perpetual chaos, persecution, and war (which has been omnipresent throughout history). That doesn’t make it right, but that does add some complex layers. What if different figures have different intentions? What if American interests and “New World Order Illuminati” interests are one-in-the-same, and that is what the whole dollar bill thing is about, and thus we are only shooting ourselves in the foot painting these “others” as villains? What if the actual villain is not “the Illuminati”, but “the anti-Illuminati (“the un-enlightened” lets call them), certainly it seems like that from an everyday non-conspiratorial perspective. Of course, I don’t know and we don’t know. Even some who think they know could actually not know. Maybe my speculation is right, maybe someone else’s is. The point is WE DON’T KNOW, but yet that hasn’t stopped that endless sea of modern “anti-Mason” (and such) videos online (right next to the “I love Thomas Jefferson videos” by the same author; oh the bitter irony of persecution). What if its just all rather mundane and complicated and just involves a dash of opportunism here and some biting of one’s tongue in favor of a long-term vision of the future there (that one may even agree with if it was ever explained in a cogent way). The problem is, as interesting as speculating on any of this stuff is (and this whole section has been speculation; in an effort to illuminate our topic), there is way too many “what ifs” to act or accuse with certainty. We know for a fact the world is filled with disinformation and misinformation, and we should knowing this tread lightly. Lightly, but honestly, applying our ol’ logic and reason to illuminate the truth, not to damn what we don’t understand based on our bias and emotion… but, that is of course my exact point here. Origins of the Illuminati – Where it all began. TIP: The pyramid and “eye” on the back of the dollar bill are symbols of enlightenment. See Kant’s “What is Enlightenment.” I’m not saying that all enlightenment is good, but I am suggesting that an evil shadow organization might choose a different name. Although, considering we don’t know for sure, we would be wise not to direct all our anger toward an unknown. Do People Actually Conspire With Malicious Intent? While it is sometimes the case that intent is malicious and actions are well planned and enacted by a “shadowy organization” or “invisible government,” from my studies it seems that events are more often the result of many people acting out of somewhat mundane self-interest (“shared self interest”, the effects of many specific and corporate wills of individuals and special interest factions, in mostly uncoordinated action, seeking the same ends and being opportunistic in practice) rather than events being masterfully planned by a calculating organization of villains. Adam Smith called this invisible force that guides group and individual behavior in this way “the invisible hand” (forgive all the “spooky” sounding terms and mystical shadow groups; I really want to hammer in the likely truth here, viz. thing are complex and not everything we don’t understand is necessarily evil). There hardly has to be a backroom meeting of minds needed for there to be many actors working on roughly the same project. From uncoordinated shared intentions, events can arise. In these cases, it isn’t a lack of facts that stops us from constructing a good theory, it is the lack of motivation and coordinated action itself! Of course, there are also instances where people act amorally or immorally, by not maliciously, for instance when an arms dealer or banker profits off a war. We may be tempted to assign intent or blame, but this isn’t always warranted, and even if it is, it will rarely address the root problem. Bad or mundane intentions aside, it is also just as likely that the actors of a given story believe they are doing good (like the Freemasons in the French revolution who fought for liberty and against Kings), but where necessary secrecy, a bit of time, and a general series of unknowns created ample room for assigning intentions and details in retrospect that weren’t there in practice. A hero in this case can very quickly become the villain of the story, or a villain a hero. When events are seen through a slightly different frame of reference, our perception of the event can change even when the facts don’t. Is Alan Greenspan a hero or a villain? Isn’t this largely a matter of perspective? Banking With Hitler (Full Length) British. There are many ways to illustrate the fact that much which conspiracy theories seek to explain is better explained by “mundane self-interest and opportunism,” but one that comes to my mind is the story of the international banks and the Axis and Allies of WWI. Its tempting go straight to the Alex Jones version, but hearing the BBC version with interviews of family members presents a much more sober introspective into the actual mentality behind what assume wrongly are “shadowy villains”. OPINIONS AND LOGIC: On the above video, we can offer the opinion-based-on-logic that International banks can generally be considered neutral. It is their self-interest to grow capital and to keep on good terms with all players. During WWII an international bank or company benefits from working with all sides (unless they are forced to pick a side due to public opinion). That self-interest may be rather amoral, but that doesn’t make it malicious. OPINIONS AND LOGIC: The reality is there is a liberal conspiracy of sorts, it is called the shared intentions of all left-wingers. In other words, it is the general shared mindset of 3.6 billion uncoordinated people. Likewise, there is also a conservative conspiracy of sorts; i.e. the other 3.6 billion. Many of our founders (in the West) were Freemasons, many others were anti-Masons, and, despite the history of war, ultimately today is a testament that these sparse interests all founded great countries together. Corporations conspire with investors and fix prices. Politicians conspire with Corporations and donors. Sports teams conspire to win. It is human nature to cooperate and compete. It is Adam Smith’s self-interest in motion as Madison predicted. Still, your average person is well intentioned and is hardly part of some grand conspiracy that everyone in their class, creed, or race is in on. Conspiracies do happen, but without knowing all the facts, a reasonable theory cannot be formed. So try not to get to worked up over your assumptions, especially when you have indiscriminately made a class, creed, or ideology your scapegoat. All that plotting could ultimately make you, the conspiracy theorist, the aggressor and conspirator. The underlying problem is that life and most issues within it are so complex that patterns are bound to arise (including patterns that are actually there, patterns that are partially there, and patterns that aren’t there at all). The human brain is hardwired to recognize patterns and form complex conclusions, and this can lead to conspiracy thinking. Sometimes we recognize subtle connections others don’t see, sometimes we see patterns that aren’t actually there, and whatever we see is typically filtered through our own biases. This ability to recognize patterns is especially true for “thinkers” (you’ve heard the old saying about a fine line between genius and madness, that absolutely applies here). Humans are the world’s best pattern-recognition machines, and that can be a blessing or a curse. Take for example Sir Isaac Newton, who would look for cryptographic codes in old bibles to find secret alchemic messages from our ancestors. Was every clue he found truly a clue, or was he reading into it more than was really there? And even with Newton’s unpublished manuscripts being available today, can we be really sure about what he did or didn’t find? (Learn more about the Secret life of Sir Isaac Newton). The origin of countless conspiracy theories – PatrickJMT. A look at how patterns will always arise in complex systems. Ultimately, not everything that is true can be proven and thus many theories are destined to remain unproven (regardless of whether they are true, partially true, or completely untrue). The details of some social relationships, their mechanics, and their motives are impossible to know, and especially with complexity considered, it is unlikely that we could piece the puzzle together even when we know large parts of it (as even one unknown opens the door for a partially inaccurate, and sometimes dangerous, theory… again, Hitler, Ford, and the Learned Elder’s of Zion conspiracy theory comes to mind). With that said, we can understand the general mechanics behind conspiracies by taking a closer look at group dynamics, psychology, pattern recognition, and history. Why Do People Formulate Conspiracy Theories? As Wikipedia very correctly puts it, “people formulate conspiracy theories to explain, for example, power relations in social groups and the perceived existence of evil force.” In other words, people form conspiracy theories to explain that which they cannot, or at least do not understand, rather than accepting gaps in their knowledge or the idea that uncoordinated actions sometimes lead to spectacular results. As noted above, it isn’t that conspiracy never happens, it is that theories surrounding the conspiracies, the players, the meanings, and very importantly the intentions of publicized theories are often off-base (sometimes even leaving out well known and widely accepted facts, and adding in prejudice propaganda, much to the frustration of critics, like the recent flat earth conspiracy theories for example). Given our propensity as humans to be social and thus create factions and special interest groups, it is not rational to think that people don’t coordinate their actions or group together around ideas, they do. It is only that it is not rational to fill in every unknown with expertly coordinated and villainous intention (especially given our propensity to see patterns that aren’t there). One of the main problems with judging intentions is that people tend to judge others from their frame of reference (their point of view based on their own bias and ideology), rather than say “from behind a Veil of Ignorance“. This leaves some actually looking for bad intention, rather than scrutinizing the facts. This is not the frame from which good theories are formed, and this can lead to the distrust of groups, agencies, organizations, and even governments, which potentially leads to further confusion. Another factor at play is a simple matter of human nature. The driving force of humans can be said to be, on some level, self-interest (be it monetary, moral, or power related). Ironically, self-interest can manifest as social benefit under the right conditions, “as if by divine providence” as Adam Smith puts it. Selfish behavior can have unintended positive consequences, and good intentions can, paradoxically, have unintended negative effects. When people conspire out of self interest (good or bad), it is called special interest, when the mostly uncoordinated actions of people and groups result in something grand, it’s called happenstance. Both phenomena can bare strikingly similar fruit, with good or bad results despite intentions, and in this lies one of the major problems with conspiracy thinking. How Einstein Used Intellectual Play to Create Our View of Reality. If you can understand the mentality of Einstein and the marketplace of ideas, you’ll have your head in the right place to see the forest through the trees in regards to conspiracy theories. TIP: The keywords are perceived (not proven), relations (not necessarily the result of specific individuals or specific single groups), and non-scientific theory (an explainer that makes sense from our frame of reference, but lacks scientific proof and thus is likely off-base). THOUGHT: I like to think of shadow organizations and conspiring like a sound wave. A sound wave is a mechanical pressure wave (not a thing itself), it must travel through something, it is not itself a thing. It exists in the spaces in-between things. Learn about sound waves. 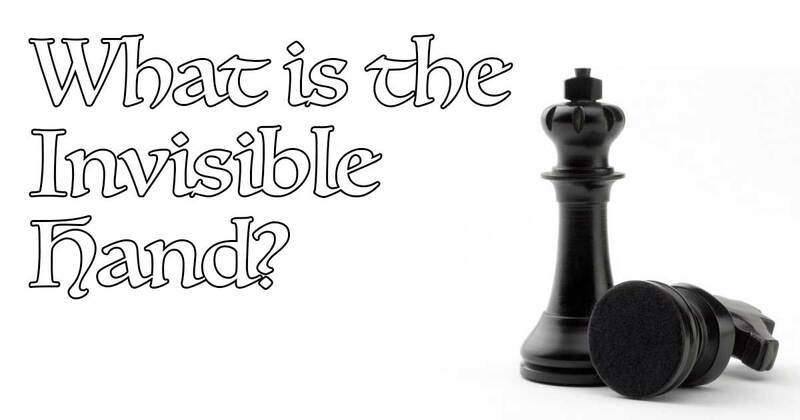 The invisible hand usually refers to ” unintended social benefits resulting from individual actions” in regards to socioeconomic markets, but the general concept of “invisible” or “shadow” entities is generally the same. It describes group social dynamics and decision making as an advent of the human condition and self-interest, not as an advent of purposeful direct manipulation by a single individual. Almost every conspiracy theory charges that a secret group is acting in secret, the proper name for these groups in practice is “special interests” or factions. It may surprise some conspiracy theorists to know that this has been a broad topic of study throughout the ages, and not a fringe topic at its core. Adam Smith refers to “the invisible hand” in The Theory of Moral Sentiments (1759) in Part IV, Chapter 1 and then again in the Wealth of Nations (1776) in reference to how self interest drives markets (how free-market capitalism works in theory). James Madison warns about factions in the Federalist #10 explaining how they are a result of liberty, yet paradoxically threaten the Republic. Edward Bernays called special interest groups “the invisible government” in Propaganda (1929) page 9 when making the reader aware that in the modern age the powers of rhetoric could be utilized by all. Henry Kissinger called the shared interests of western powers who valued democracy and diplomacy “the New World Order” in Diplomacy (1994) Chapter 1. Other terms like shadow government and shadow economy are often used to describe similar “spaces in between” where people operate, loose affiliations based on self-interest, and generally any like group. America calls it “active participation in a democratic mixed-capitalist mixed-Republic” (or to be cheeky, the in-divisible hand; a mix between invisible and invisible), and the back of the dollar bill says “Annuit cœptis… Novus ordo seclorum“. That phrase very roughly translated from Latin can be interpreted as, “Providence has approved of our undertakings (or favor our undertakings)… a New World Order (or new order for the ages)”. The concept being “as if by divine providence, a new order for the ages”, a new land where we can have a free-trade republic and religious freedom, a New World without the same restrictions of the Old World. Thus the pyramid represents a new great empire and the eye represents wisdom and enlightenment. Did the founders all agree on this Freemason take on the ancient wisdom of past cultures Charles Thomson cooked up? Probably not. But is it repersentives of the main point of the United States of America, yes absolutely. Although the conspiratorial anti-Masons scared the Masons out of public existence in early America, the basic concept of Manifest Destiney, Democracy, and Diplomacy is widely embraced by all Americas factions. Not much conspiring is needed in practice. By any name, the concept is always the same, applied to corporations, governments, economies, etc. we are simply describing the (mostly) unintended social benefits resulting from individual actions, self-interest, and shared intentions”. Sometimes a special interest group meets on a secret island and draws up plans, sometimes it is uncoordinated malicious action, and sometimes it is just America’s founding fathers risking their lives to secure a free-Republic and the principles of liberalism and republicanism. We can spot the mechanics, but exhaustively collecting the details to form a viable theory is often impossible… and filling in the blanks with half-truths is just downright confusing for everyone! For conspiracy to happen as it is understood by conspiracy thinking, people would have to agree, and most of the time they simply do not. When we see shared special interest, we can find loose allies or even allies banding together (like with the Founders), but assigning broad intent to a large group of individuals based on sparse data is a slippery slope. In truth, the works noted above are some of the more populist, moral, and human arguments for Democracy in human history. It would be a conspiracy theory of my own to say “it is for this they are sometimes slandered”, but it is worth considering in the same way this thinking can be applied to events like “the Reign of Terror“. Adam Smith, Theory of Moral Sentiments. Adam Smith is a great introduction to the truth behind group dynamics, he comes at the complex and heavy from the lens of morality, which is a good overtone for such a deep subject. Whether people have good intentions or bad intentions personally is often a side point, the world is complex and cause and effect relationships are often paradoxical. For instance, Adam Smith points out that self-interest in regards to morality, money, and safety can actually lead to social benefits, but also points out how it can lead to things like monopolies. One doesn’t need good intentions to do good or bad intentions to do bad; one can perform bad acts with good intentions or good or bad acts with mundane intentions. Some things are clearly evil, but good and evil only seems simple when we have a lack of data or watch cartoons. In real life intentions, motivations, and personalities are complex. Of course, whether the effects are good or bad is sort of aside the point, the point is that conspiracies are often less a matter of “conspiring with malicious intent” and more about the way humans organize into groups and how group dynamics work. A type of social natural selection, often coordinated not by close friends, but by uncoordinated groups of loose allies driven by self-interest (a natural aspect of the human condition, and thus almost if as, “by divine providence” rather than “intention” or “human conspiracy”). There are strong players (groups or individuals) behind any idea at any time playing public relations on behalf of an ideology, and groups can never act directly as all action is human action, but ideas exist independently of people and have a life of their own, and thus it isn’t always fair to place a smoking gun in the first hand we see, or to think that punishing one person will quell a deeper problem. When we try to oversimplify the mechanics of group dynamics and world history, we end up scapegoating and creating negative propaganda steeped in misinformation. Troubling also is that we stop asking questions and stop looking for answers with an open mind, and we seek to demonize our elders and those in positions of power thus dampening our ears to their message. Again I’ll say it in different words, a perceived conspiracy can snowball into a real conspiracy when opportunistic players utilize existing fears as propaganda. This can’t be combated properly with anger and more half-baked theories, it must be combating with fact. TIP: On could theorize (based on history) that the US specifically was founded on the cornerstone of enlightenment (i.e. the spreading of democracy, intellectual pursuit, freedom of religion, scientific pursuits, generally things we consider good in western society). Largely a response to the different Dark Ages and Golden Ages (which America’s forefathers obviously studied intensely). All likely, although, we shouldn’t assign too much altruistic intention in the place of facts either. FACT: The Founding Fathers of the American Constitution, explicitly warned against the dangers of party factionalism (political factions based on special interests specifically). Madison, Hamilton, and Washington expressed the belief that factions would create divides that would ultimately dismantle the government. These sentiments can be found in The Federalist Papers, specifically Federalist 10 and 51 written by Madison. One key to understanding the concepts on this page is a type of thinking called “complexity thinking“, it is essentially the scientific version of conspiracy thinking (it uses the same techniques, but it demands facts and critical thinking). In western society we like to think that a system is only its parts. We we want to assign agency and a smoking gun to a single cell, rather than looking at the collective intelligence of all 37 trillion cells in the human body. This is called analysis. This can help us find problem cells, but it won’t always show us the root of the problem (as that can exist as a relation between cells or in a a few single cells and not a whole cell type). To properly diagnose the problem, we need to look at the spaces in between the cells and look for patterns. What we find is that it takes all 37 trillion cells to make a human, and that human can only be understood through the inter-workings of their parts and their relation to others. Thus, it is so for groups. If we look only at players, or make broad conclusions about the players, we are bound to miss key points. If we look only at groups, and don’t consider the players, then we miss points as well. The key is looking at all the parts, and practicing active critical thinking. Are you sure the earth is flat and this is a Illuminati conspiracy?… or is it just that even true events like the Holocaust can be hard to prove and easy to turn into hateful propaganda that helps a nation’s political opponents (see the 2016 film Denial)? If we are too eager to pick sides, we could find ourselves on the front lines of the wrong one. And, isn’t the point of critical thinking (complex or conspiratorial) about finding deeper layers of actual truth in the first place? Ultimately the key to understand these concepts isn’t an argument over the details of one event in history, it is the realization that “the shadowy organization” isn’t typically a single group, but rather the shared intentions of many groups, and the (mostly) unintended social benefits resulting from individual actions. It isn’t that intentions and players aren’t real, and it isn’t that they don’t coordinate, it is simply that filling in the blank spaces with players with malicious intent is typically a sure-fire way to miss deeper key points and even create a nasty snowball effect. The many groups that can and will form, and they many actors within who can and will act, belong to the shades of political “left-ness” and “right-ness”, and they belong to higher and lower orders of good and evil, each has unique goals and intentions, and exist throughout the planet and at different times. We don’t even have the right, in a free society, to crush the group of another with due cause and a case based on the facts. Even if we are sure of the facts we must act through legal means in line with our cherished Democratic and Republican ideals. We have to respect the liberty of others and the groups they form (as is their Constitutional Right per the First Amendment). When individuals and groups find common ground and don’t send out a press release specifically stated their intentions as fact, we have to be careful not to read into more than is there. People have tried to explain the spaces in-between groups and factions since the first written documents. This isn’t new, and neither is the misreading of events, and neither is the purposefully placement of propaganda in half-true theories by those with agendas. No one has ever really stated this all clearly to my knowledge, instead emotionally charged conspiracy theories remain pervasive, while good spirited and open minded debate remains scarce. We can see a general problem, but understanding the specifics of the problem and a solution remains elusive. The bottom line on all this: Correlation doesn’t always imply causation (it can, but often doesn’t). In most cases I have found, ideas come to fruition from the shared intentions of many, often without a purposeful chain of causation (rather a chain of uncoordinated shared intentions of reluctant allies of all kinds, although sometimes spurred on by specific outliers). And, when purpose and intent does cause a group to coordinate it is common that their actions, exact players, and intentions are misunderstood. With special interest groups who have to declare themselves by name it is more clear, we may be able to spot the intention and follow the money, but even in these cases accurately connecting the players and events is a tall order. Even then, as any conspiracy theorist or many philosophers know all too well, just because we feel we have some truth doesn’t mean people want to hear it. Humans are split into factions, factions with individual actions, and from this, it is hard to piece together any cohesive theory that relates an event to all the correct players. If you look hard enough at spaces in-between many the world’s many powerful individuals and factions you’ll find the shadow groups and visible hands, but you’ll also find a complex web of mechanics and intentions. Imagine being against group A only to realize too late that you were being a useful idiot for group B and fighting against what was in your best intention. When we don’t act or accuse too harshly, we avoid this situation. We are what we think (plasticity), and how we treat others shapes the world around us. This isn’t to say that we shouldn’t be cognizant of conspiring, but it is to suggest that the main focus be on spotting solutions (rather than spotting problems). I’ll end by saying something simple. If you find yourself spreading hateful and fearful messages due to your belief in a specific conspiracy theory, consider the negativity you are contributing to, how is that helping anything? Are you playing into someone else’s hand by spreading propaganda? Are you sure you have all the facts right? The good guys will rarely tell you to hate others, so that is something to keep in mind. TIP: Fruitful areas of study in which to practice complex thinking systems include: cryptography, collective intelligence, theoretical physics, world history, the social sciences in general, and specifically political science. If you love conspiracy thinking, consider putting your mind to work in one of the aforementioned fields. Feel free to comment below. What Is a Conspiracy Theory And Why Do They Tend To Proliferate? Humans Are the World’s Best Pattern-Recognition Machines, But for How Long?